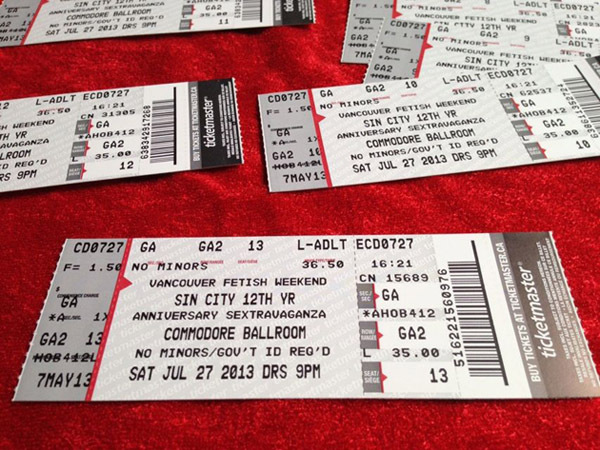 100 more tickets released for the Sin City 12 Year Anniversary @ The Commodore! It took some serious arm twisting but Ticketmaster has released 100 more paper tickets to us to sell off their system, as in, without their normally mandatory $10 service fees. They’ve already been delivered to Deadly Couture and Priape, at a total ticket count of 50 each. First come, first serve snags them, no holds. These tickets will go FAST so don’t delay! 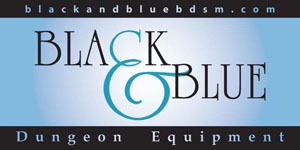 If you want to buy tickets to any of the three nights of the 2013 Vancouver Fetish Weekend, you can do so here.